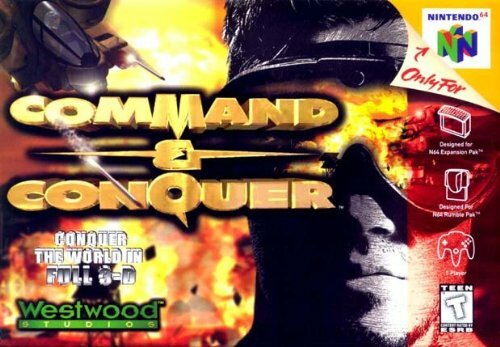 Command & Conquer is a real-time strategy game developed by Westwood Studios and released by Nintendo in 1999. Like the PC version released in 1995, C&C focuses on the war between two ficitional organizations - The Brotherhood of NOD & the Global Defense Initiative. When a mysterious resource called Tiberium emerged on Earth, a conflict developed between both factions, as the GDI wanted to cont... See moreain the biological material while the Brotherhood wanted to harness it. 15 missions on either side are available in which various units and structures, including artillery, tanks or light infantry, have to be used adequately to crush the enemy base, find traitors, protect vehicles or conquer certain areas.